Gold and silver medals are 92.5% silver. Gold medals must be plated with at least 6 grams of gold. All Olympic medals must be at least 3 mm thick and at least 60 mm in diameter. Bronze medals are bronze, an alloy of copper and usually tin. When they pick up their trophies, the winning celebs are toting around 8.5 pounds of metal. Oscar is 13.5 inches (34 centimeters) tall. The Oscar statuettes, officially dubbed the Academy Award of Merit, have a 24-karat gold plating on their surface. Beneath the gold, the statuette’s interior is a metal mixture called Britannium, also called Britannia metal. It is an alloy of tin (93 percent), antimony (5 percent), and copper (2 percent). Each Primetime Emmy statuette weighs six pounds, twelve-and-a-half ounces (3.08 kg), and is made of copper, nickel, silver and gold. 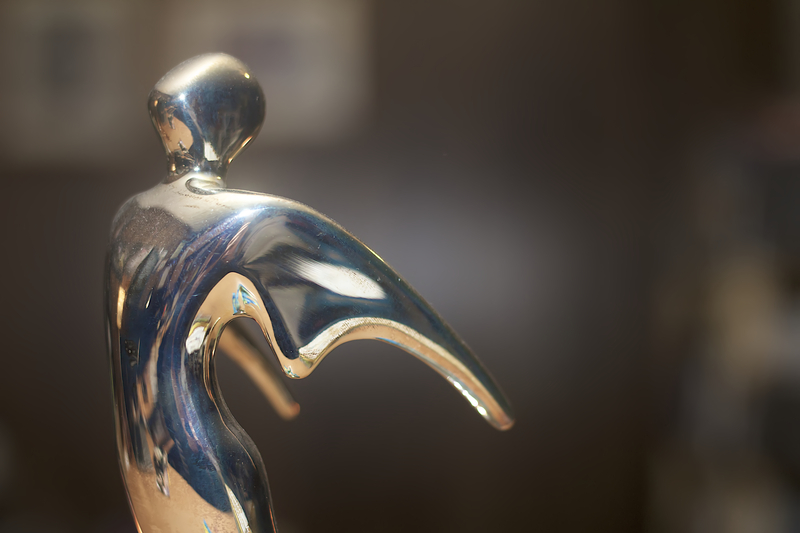 Silver Winners are awarded a Silver Telly statuette, the highest honor. Bronze Winners are awarded a Bronze Telly statuette. Designed by the same firm that makes the Oscar® and Emmy®, the Telly statuette is nearly 12 inches tall and weighs more than 4 1/2 pounds.